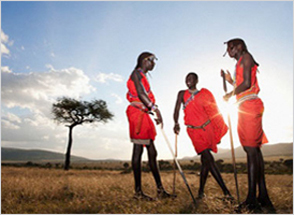 Do you want to visit Kenya? Find out the requirements needed to get the visa. Are you looking for a idyllic destination? Then Kenya is the country to visit. Identify and explore potential business and commercial opportunities. All Kenyans living abroad are welcomed to visit the Diaspora Portal and register. Get to know us deeper and discover some of the key aspects of our country. To project, promote and protect Kenya’s interests in Spain. Discover the images of the country and the activities of the Mission in Spain. 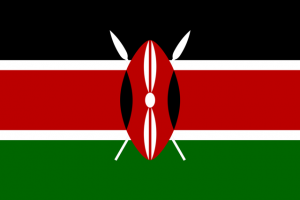 Useful links to different institutions and organizations about Kenya. "Africa is at a crossroads, with a youthful population that will be the largest global workforce in the next two decades; a land blessed with natural resources beyond compare; and a continent that is the very embodiment of resilience and hope." My passport has expired. How can I renew it through the embassy? How can I obtain a certificate of good conduct? •	You have to come in person to the embassy so that they can take your finger prints and then send them to Kenya and once the certificate is ready we will contact you. 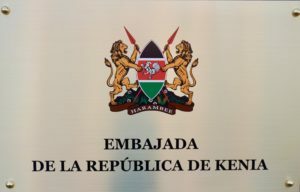 Once the document gets here you will have to send it back to Kenya so that it can be legalized by the Ministry of Foreign Affairs and by the Spanish Embassy in Kenya. Once you have that done, you can send it back to us so that we can translate and take it to the Ministry of Foreign Affairs in Spain for legalization. •	Otherwise you can have your finger prints taken at the embassy and stamped, and then you can take the document with you and take it to Kenya for purposes of obtaining the certificate of good conduct and also for legalization in Kenya and once all that is done you can send/bring it to the embassy to be sent to the Ministry of Foreign Affairs for legalization. How much does it cost to legalize a document? Why does it take so long to process documents through the embassy? It does not take long, it takes more or less the stipulated time, bearing in mind that the documents have to be send to Kenya and then they are send back to the embassy and such is done on a once a week basis. My relative/friend wants to come and visit me. What documents do they require to visit Spain? •	Please contact the Spanish Embassy in Kenya. What documents do I require for visa application? How long before travel should I apply for my visa? Can I obtain a visa at the point of entry? Yes, if you are a European citizen or any other country not included in the list of countries that require referred visa. However, if you have an opportunity it is better to apply for a visa at the embassy in order to avoid any problems at the airport such as missing documents or expired passport. If I live outside Madrid, how can I apply for a visa? Documents and money can be sent by registered mail or any courier service. Do I need a vaccination certificate to travel to Kenya? A vaccination card is not required. However, if you intend to proceed to Tanzania, you will require a yellow fever vaccination. How long does it take to process a visa? • In person 1–2 days. • By mail – from the day of receipt 1-2 days and give it a few more days for mailing depending on the mailing service chosen by the client. Must an applicant apply for a visa in person? No, a third party may present/collect all the required documents on behalf of the applicant. Applicants may also forward all the required documents through the post. Documents through the post its highly recommended that this be done through registered mail or courier. How long is a visa valid for? Once a visa is issued, applicants must enter Kenya within 3 months, before the expiry date of the visa. Do children need a visa? Yes, they do. The fee is the same as for adults. 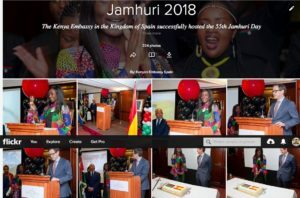 Follow the latest news and updates from the activities of the Embassy of Kenya in Spain.